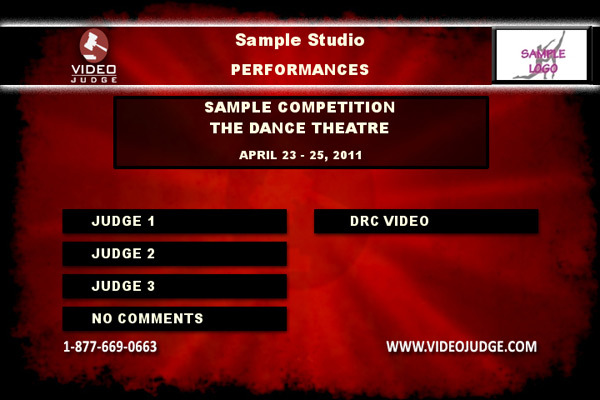 Please visit the official Video Judge® website at www.videojudge.com for a list of participating competitions. Remember the old days when you had to struggle to decipher those handwritten comments the judges made about your dances? Or when you left a competition with 300 cassette tapes full of comments? Or when you sat listening to that CD and struggled to understand what exactly the adjudicator was talking about or if they were, in fact, correct when they said your dancer wasn’t smiling? There’s a reason those are the “old days” and that’s because Video Judge® made them obsolete! Now you can watch your dance and listen the comments at the same time! All available online at VideoJudge.com immediately after the completion of the competition. No more disembodied voices talking about your dances. No more stacks of DVDs, CDs and cassettes. This is the future and it is here! Supported by custom built software and years of experience, our turn-key solution is perfect for any sized dance competition. Whether your organization runs one event a year or 50 – Video Judge® is the answer to your adjudication needs! 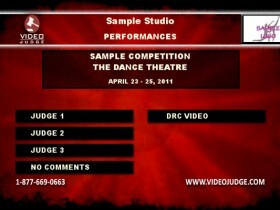 Video Judge® also comes with our FREE Registration, Scheduling, Tabulation and Live Event App through DanceBUG.com! Take your dance competition to the next level by offering Video Judge® to your studios. For more information call toll free 1-877-669-0663 or visit www.videojudge.com. Last Updated August 31 2017 10:30 AM! All 2017 Regional & National Dance Competition videos and photos have been delivered through DanceBUG.com. All 2017 Dance Recital videos have been delivered either through DanceBUG.com or on DVD. Should you require assistance of any kind, please email us support AT drcvideo.com.